Open to everything. Isn’t it wonderful to have something that adapts to all conditions. 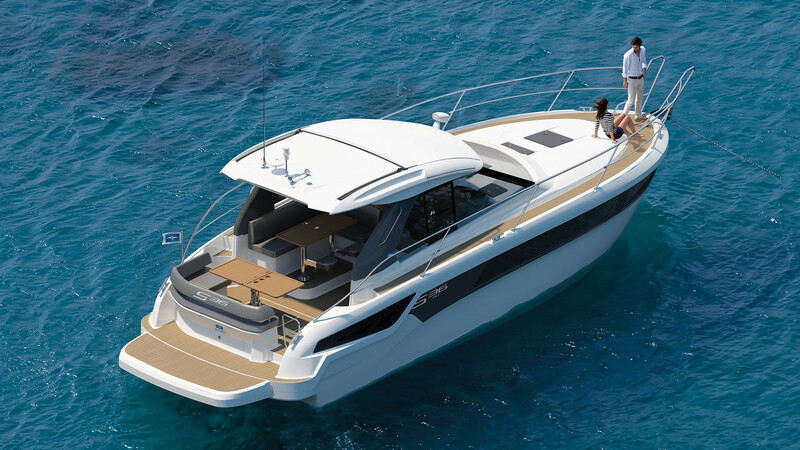 With the BAVARIA S36, our team paid special attention to variability. For instance, the seating area on the stern can be changed into a sun deck in the blink of an eye. And the huge bathing platform is ideal for swimming, sunbathing, chilling out or just romping about. Everything is cleverly thought out. Typically BAVARIA. This model comes in different body types, OPEN, HARDTOP (HT) and COUPE.